Washable bed pads offer high levels of absorbency and are available with or without tuck in flaps. Many washable bed pads have a feel dry & soaker layers to keep the user remains dry in case of accidents. 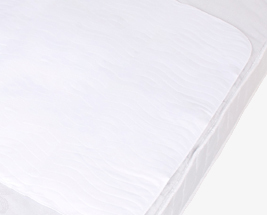 These bed pads also feature waterproof backing to protect the user's bedding and mattress. Can be used both on top and underneath the mattress cover.